Batchmates (from left) Josette, Raisa, Liz, Reyjr, Shaina, Roger, Emily, Ging and Deo. After weeks of rehearsing (on weekends), we are good to go. It's been 10 years since we sang these songs together, I can't even believe it's been that long! Majority of us have now graduated from the University and have since pursued our different career paths, now professionals in our fields - some in Engineering, in Law, in Sales, Business Management, even one in Politics. Still others took the other route - changed the course of their careers and chose to do what they loved most - to make Music. About half of our batch are now living in other countries. Some have married, a few couples are both from our batch: there's Roger and Emily, Raymond and Denise. The batch now also have a few godchildren to look after - and one in particular will even be baptized in the morning before the concert. This concert is special to me not only because I will be singing on stage with the UPCC again after such a long time, but also because we are keeping the traditions of "Korus" alive. I admire this group a lot because I know what it has done for me, and I see what it has done for so many of its members. Maybe someday I'll tell you everything I learned in this university choir - not just singing or movement lessons, but leadership, relationship, and life lessons. Sopranos: Liz, Denise, Analou, Mel, Ging, Emily. Tenors: Reyjr, Raymond, Nikos, Armin. Basses: Fortune, Roger, Erich, Alvin. My sense of smell has been out for almost 2 weeks now, but finally I've regained some olfactory capacity - it surprised me today when someone walked past me and I caught a whiff of her shampoo. I think it was Pantene. Haha. :p Soon after that I began noticing more smells - some pleasant, other not. 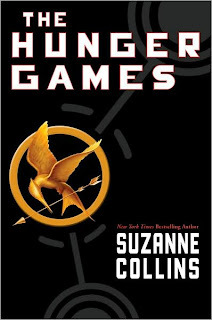 Since my internet's been out for almost 2 weeks, I finished this book called "Hunger Games" by Suzanne Collins. I'm not a big reader but when I do read, I tend to become obsessed by it - talking about it with almost everyone. My short review is that the first 5 pages or so bored me, but after those few pages, the pace quickened, and then I couldn't stop reading. I would occasionally roll my eyes at some cheesy lines, but they were neutralized by the characters themselves. 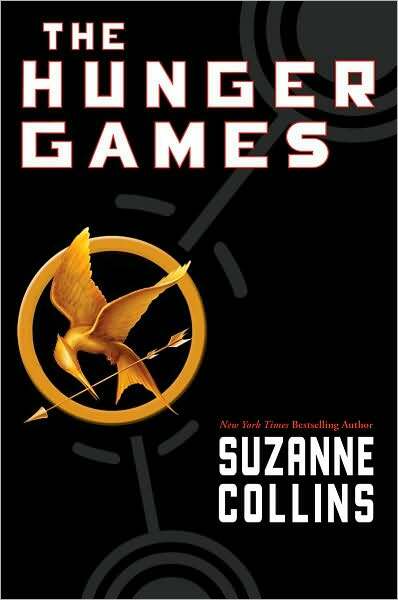 Some memorable moments in the book include Katniss and Rue, and the bread from District 11, and of course the scene with the berries. Haha, I don't want to give too much away and spoil it for someone else. Several times when the "love story" was being played up, I caught myself thinking - no, no, it's a teen novel like Stephenie Meyer's Twilight series - then think again... with all that gore and violence, I wouldn't give one to my teen aged children if I had some. Haha. But a young adult who is not very squeamish would probably enjoy it.